This Veterans Day, we would like to thank our troops for their service and sacrifice by offering a free donut to all Veterans and active duty military. With many Dunkin’ Donuts franchisees and corporate employees having served in the Armed Forces and more than 44 restaurants on military bases around the world, we are extremely proud to serve and support the brave men and women who keep our country safe. Since 2003, we’ve donated more than 300,000 pounds of coffee to troops deployed overseas and our Guest Support team holds a monthly lottery and sends 10 cases of coffee each week to troops deployed overseas. To further show our appreciation, we will also be making a $10,000 donation to Homes For Our Troops, a privately funded nonprofit organization that builds and donates specially adapted custom homes nationwide for severely injured post-9/11 Veterans. These homes restore some of the freedom and independence our Veterans sacrificed while defending our country. 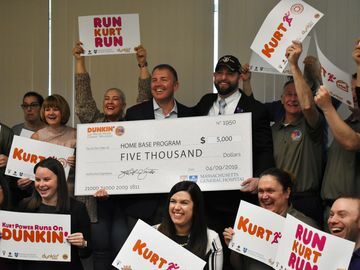 Additionally, we will provide a year’s worth of Dunkin’ Donuts K-Cup® pods along with a new Keurig Brewing System to up to 100 Veterans who have been or will be provided new homes by Homes For Our Troops. Guests can join us in thanking a Veteran in their life with a military-inspired virtual Dunkin’ Donuts gift cards that can be purchased and sent exclusively through the Dunkin’ Mobile App®. 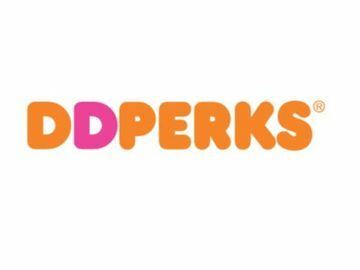 The gift card was specifically designed by our very own Paul Charboneau, a Dunkin’ Brands employee and veteran who served as a forward observer in the Vermont Army National Guard. 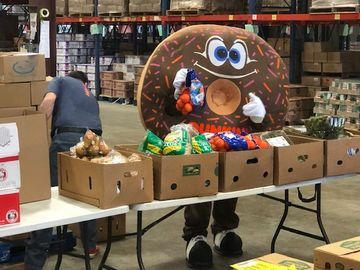 We will also be recognizing a few extraordinary members of the Dunkin’ family who go above and beyond to support our troops here on the Behind the Beans blog. Stay tuned to learn more. 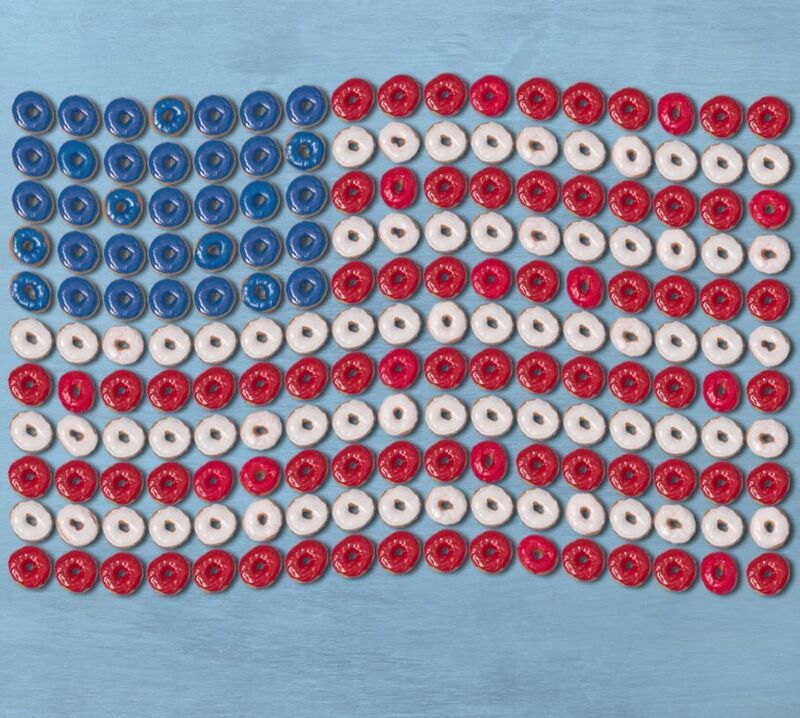 From all of us here at Dunkin’, we would like to say thank you to our Veterans and all the brave men and women serving our country. 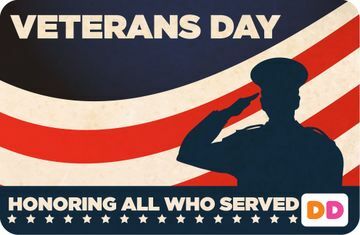 Your service and sacrifice is truly appreciated. *While supplies last. Limit one per customer.